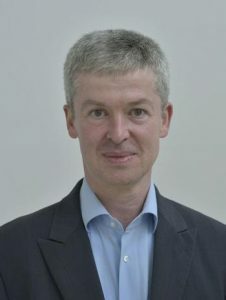 Alexander Schunka teaches early modern history at the Friedrich Meinecke Institute at Freie Universitaet Berlin. His main research areas are the cultural and religious history of early modern Europe with a special emphasis on mobility and migration studies, the history of early modern Protestantism, cultural transfer between central Europe, Anglo-American cultures and the Ottoman Empire as well as the history of natural resources. Recent publications include the co-edited volumes Migrations in the German Lands (2016; paperback 2018), Reporting Christian Missions (2017), Pietismus in Thüringen (2018), a co-edited source anthology on Pietismus (2017), and the monographs Die Hugenotten (2019) and Ein neuer Blick nach Westen (also forthcoming in 2019). Alexander Schunka will co-supervise two MOVES research projects: “Society and the Cultural Drivers of Migration” and “Types of Migration in Their Relation to Forms of Slavery”.